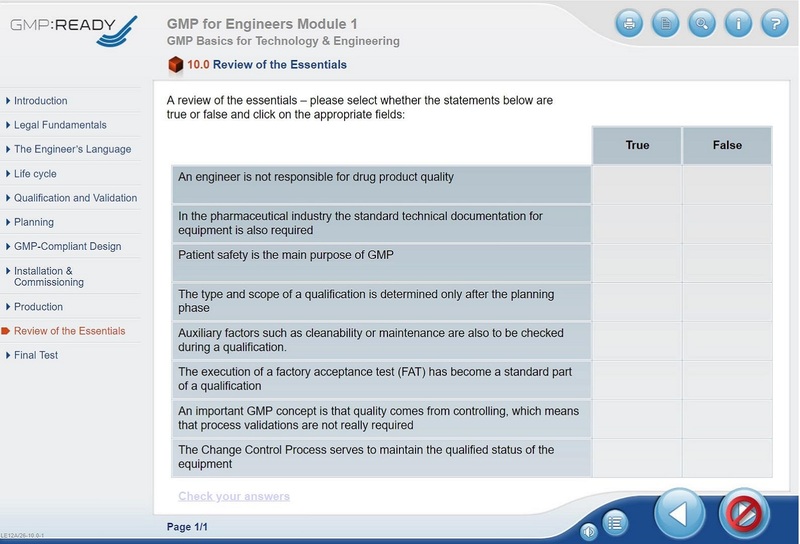 Do you know the essential qualification and validation-activities for pharmaceutical equipment and facilities? 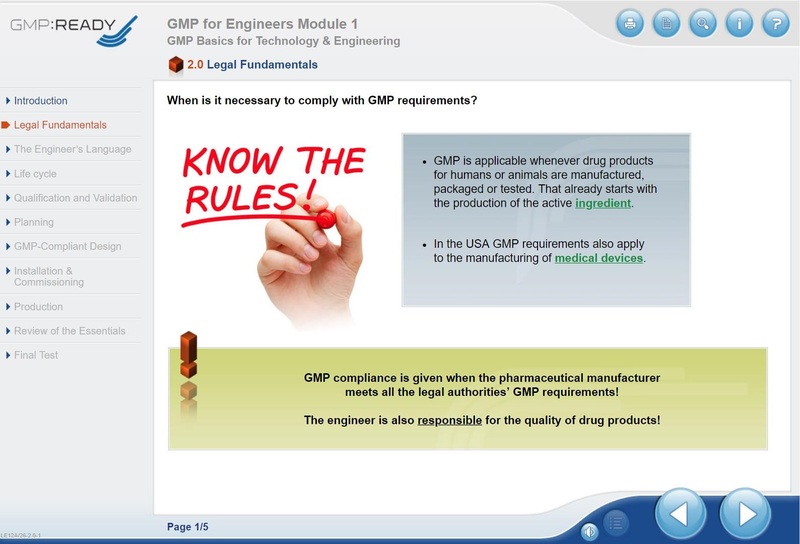 This e-learning course offers engineers, technicians and non-technicians a good oversight of the regulatory GMP requirements. The compulsory qualification and validation activities necessary for the life cycle of the facility are also briefly explained. The context between the GMP requirements and the life cycle of a technical system is clearly depicted. 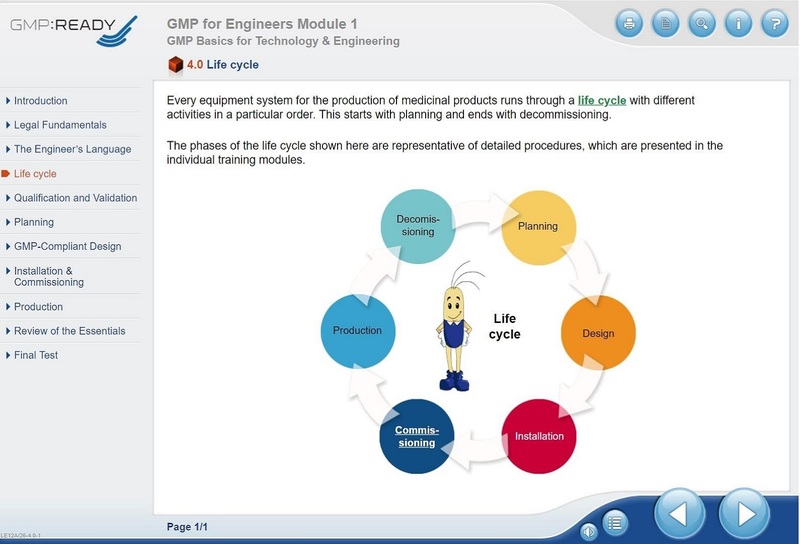 Learn the relationship between GMP requirements and the lifecycle of a technical system. 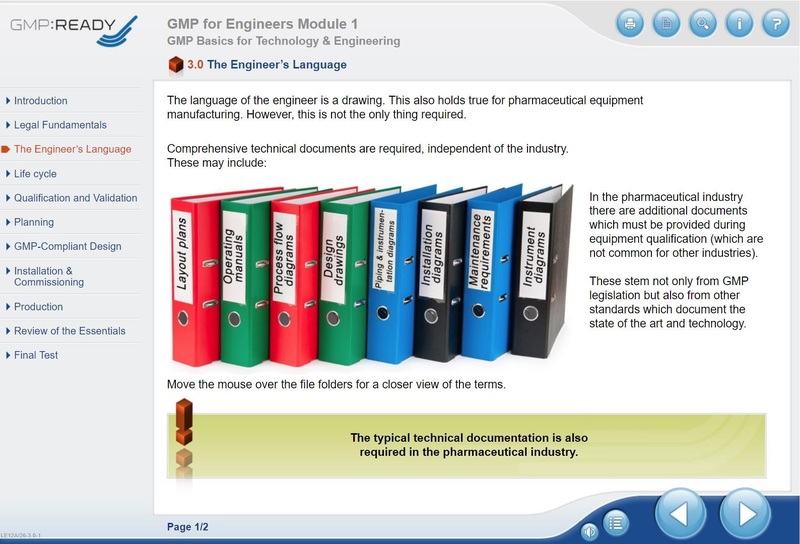 Among other things, you will get to know the life cycle of a system, which documents are required, what the elements of qualification are and much more.